Never EVER in my life have I seen such a debacle in the express lane at a grocery store. Sure, on a rare occasion you see that one couple that breaks there 24 items in to two 12 item piles, but I was in line for... 7-8 minutes, give or take, as this family broke their two carts worth of groceries into 7 orders, each with coupons and questions and.... Now I'm shy, so I'll just boil over on the inside, but the gent in front of me and later the gent behind me, both blew their rather loud tops (keep in mind the fellow behind me missed 80% of the wait). Good thing I picked the most frozen pint from the back of the shelf, otherwise I would be preparing to review a milkshake right now. 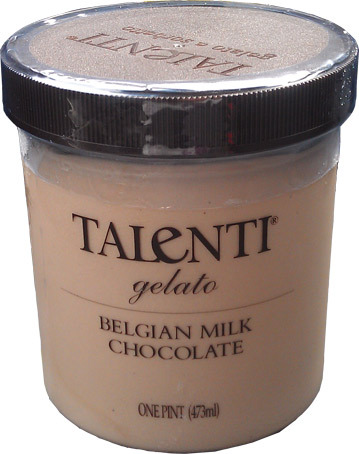 This is Talenti Belgian Milk Chocolate Gelato. It's nothing new, but with these free coupons about to expire, I figured why not fill in some of the missing gaps in our Talenti reviews. It's weird to not have any swirls or chips in my way, just lots and lots of smoothness. I really don't know what to say except that if you aim for the real soft parts, you are going to think frosty. Now I don't mean insult to either product, that's just the way it's hitting me. I'm tempted to just eat the whole thing and call it a day, but I should probably save some of this for tomorrow. So I guess this terrible review can be summed up by saying that this is as good as you'd expect it to be, just try not to eat the whole thing (I resisted, but just barely). Thanks for the free lunch Talenti. On Second Scoop: Why must this be so tasty? I still stand by my high end frosty comment, despite it sounding strange, the point is how rich and smooth this stuff is. Good stuff, plain and simple. I first tried this flavor about a year ago, and that was also what I came up with to describe it. It reminded me of a frosty, but better. 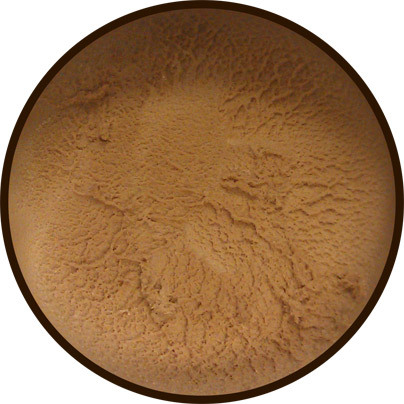 A "high end" frosty, if you will. About a month ago, after working for 12 days straight, I was in the express lane (15 items or less) with 3 items. The woman in front of me literally had 65 items. Instead of seeing me behind her and offering to let me go ahead, she just sat there and smirked at me. After waiting 25 min I finally went over to the self checkout and made a point of saying something to a worker on the way out. People can be soooo rude!